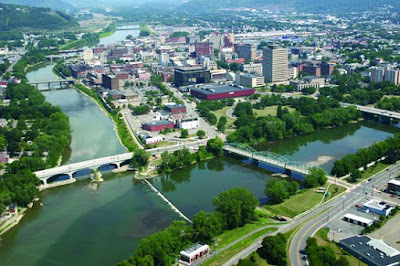 Binghamton, NY - A City Greater Than You Realize! 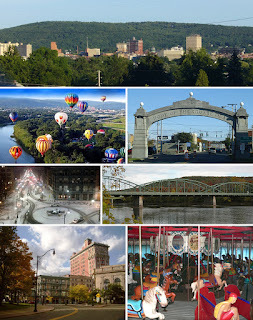 I'm not sure what suddenly drew me to this topic as I sat to think of one, but quite often from numerous people recently, I have heard that Binghamton, NY is such a depressing city, "even worse than Scranton", someone recently commented to me. I must preface my present opinion in this article, with the fact that I lived in NYC for 8 years, LA for close to 2, Seattle for almost a year, Virginia for 2 years, Germany for a total of 18 months over 3 decades, and traveled much of Europe in 1991. 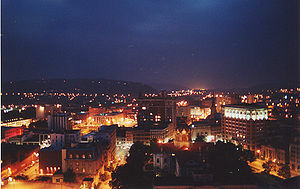 My archaic opinion of Binghamton was that it was a broken down, boring, and uneventful city. Even living in a nearby small town, I still hadn't discovered what Binghamton had to offer. I had lived here for a year on two occasions over the past 15 years, but until returning from Europe again, I had never opened my eyes to how lucky we are in this great city. Even the Bahamas were amazing, but I'm not sure how many of us from the NE could handle the sweltering humidity and heat that Puerto Rico, or The Cayman Islands have to offer. See, we are among the lucky in America. The great NE experiences the 4 seasons unlike most of America. We all complain when it's snowing, but post our winter pictures during the summer on FB. We all complain about rain, and heat, but then in the winter, we are posting pictures of folks sitting around the campfire. Many people say summer is their favorite time of year. I'd love to take a poll on that, because if most of us think about all the magic of fall, we might have to admit it's a great time of year. 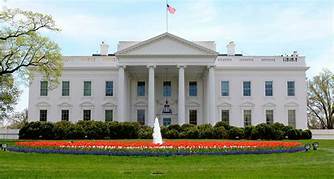 How much of America gets to experience the cool fall evenings, the colorful plumage, the hayrides, the history of the colonies, the monuments, statues, and so much more the NE has to offer. I've awoken, while currently stuck on a bike, with no vehicle until this fall, and living very close to downtown Binghamton, to how much there is to do here, and experience, because I am missing much of it right now in my current predicament. I'd love to go into detail about many of these things there are to do in Binghamton, but I can only touch on a few. This list is not limited, but ongoing beyond what I mention. Karaoke, Theater, semi-professional sports, Opera, opportunities to be in film and commercials, amazing artwork from incredible local artists, festivals, concerts, community gatherings and music, some of New York State's greatest food, Broadway caliber performances from High School shows through Amateur theater, community support groups, the 4 seasons, and the list goes on. Touching on theater...the area of the Southern Tier offers top notch performances in theater, dancing, and music. High School musicals are filled with teens who could take Broadway by storm, adults who have molded their craft into perfection, and incredible concerts by local musical groups and more. In Binghamton, we have the Rumble Ponies, the Devils, The Forum, The Arena, several local theater groups, great shopping from Walmart to Tom's Card's and Gifts, run by an amazing gown and dress creator Tom Kelleher. We have amazing photography by Patti Schwartz, who is so humble as to share her photos on Facebook, as well as the crafty James Micali. 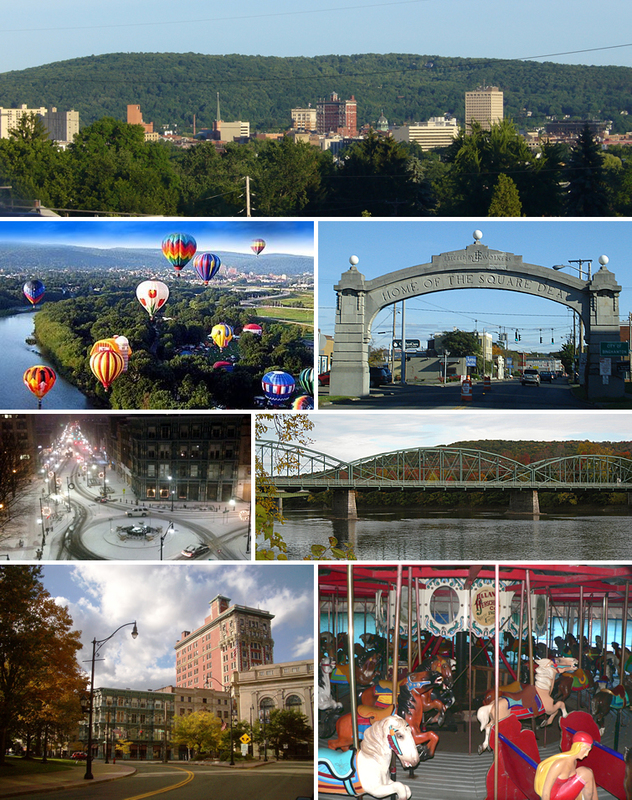 The arts is the heart of Binghamton, NY, along with the Colleges, including the esteemed Binghamton University, and the stalwart SUNY - Broome. We get famous artists dropping in constantly in several venues a year. We have a currently growing economy, contrary to some opinions. We have a fair and balanced Mayor in Rich David. Some of our top restaurants that are constantly packed include Little Venice, 70 years in the making, the #5, Remlik's, Burger Mondays, The Lost Dog, The Colonial, Souther Tier Brewing Company, Galaxy Brewing, and the list goes on. These are all just in the city of Binghamton. Why do I write all this? I think sometimes we all get caught up in looking at things in the singularity, instead of as the whole, and we get used to what we have, and as most humans instinctively seek, is more satisfaction than they have gotten used to. This is worldwide, and so I think this article can talk to anyone that is not in a war torn area. If you aren't from Binghamton, I'm not sure you should be commenting at all on what kind of city and area the Southern Tier is to live in. I think a good percentage of us here in Binghamton, NY would disagree with the doubters. Binghamton is a great city! Yes, crime has become an issue here unfortunately, and drugs most of all, but this is an issue over much of the country. We are in close proximity to NYC, and a hub to all other major cities in NY. It goes without saying that this day in age, we are going to be battling these issues for some time. While others in the world are dealing with marches gone bad, terrorists attacks, war, family being killed, lack of food and water, and so much more they suffer with, we in Binghamton, NY are amazingly lucky to be here!